He is one of Singapore’s most respected writers. Some of award-winning playwright Tan Tarn How’s work was recently compiled in the book Six Plays, published last year. His latest play, Fear Of Writing, was staged last September. 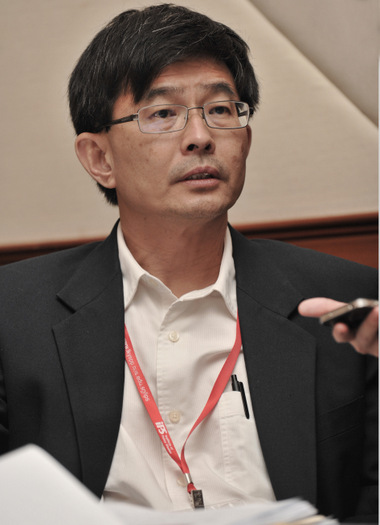 The former Fulbright scholar is now a senior research fellow at the Institute of Policy Studies. Oh, by the way, he was also head writer of VR Man. I point this out not to embarrass the guy, whom I count as a friend since we were colleagues at MediaCorp, where he also worked on the more fondly remembered Growing Up. Not that Tarn How tries to keep his VR Man past a secret. 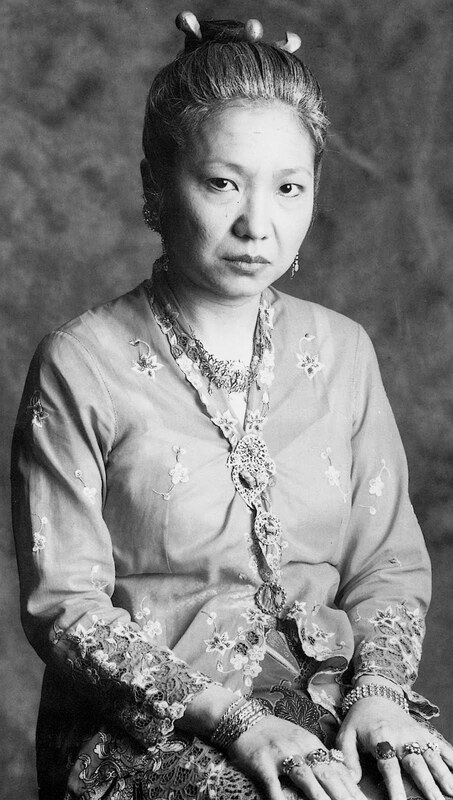 Nestled discreetly among his writing credits on his WordPress blog, VR Man is listed between 1998’s The First Emperor’s Last Days staged by TheatreWorks for the Singapore Arts Festival and the 1996 feature screenplay Miss Lily. 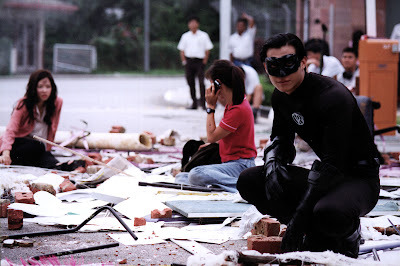 Chances are you’ve never heard of The First Emperor’s Last Days or Miss Lily, but you wish you never heard of VR Man. Proof of the TV show’s entrenchment in our national psyche can be found in the article in The Straits Times a week ago about Channel 5 losing viewers due to the lack of “good” content. Just like no discussion about Singlish can overlook Phua Chu Kang, it seems that no article about the badness of local shows on Channel 5 can be complete without name-checking VR Man. I mean the show is 14 years old! 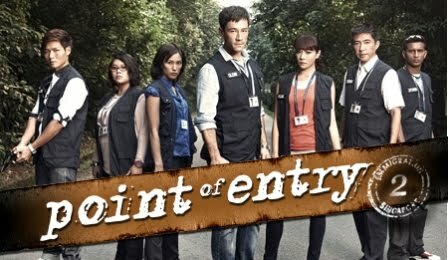 Let me put it another way: 14 years from now, in the year 2026, when there’s another article about another really bad local show on Channel 5 (if it's still around), no one is going to compare it to Point Of Entry – or even remember Point Of Entry. Despite there having been plenty of bad shows on Channel 5 since 1998 (I even wrote some of them), the immortal VR Man remains the benchmark. You (and future generations) only have to view the brief YouTube clip of VR Man escaping two pirouetting policemen to understand why. Before James Lye in his superhero mask came along, 1994's Masters Of The Sea – Singapore’s first English drama series – was the previous gold standard for Channel 5 disasters. Yes, VR Man is even worse than Margaret Chan’s hamminess. What’s more, VR Man, which lasted a season, is even worse than Now Boarding. The 2001 comedy was so bad that I believe it was the only local series ever to be cancelled mid-season. It lasted five episodes. In recent years, Channel 5 just moved really low-rated shows like After Hours, Live 'N' Loaded and The Pupil to later time slots rather than killing them mid-season. Even Silver Lining lasted one whole 13-episode season – and I bet you weren’t even aware there was a show called Silver Lining on Channel 5. 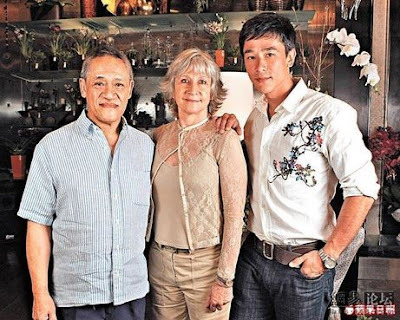 It aired in 2010 and starred veteran Hongkong comedian Richard Ng, father of Carl Ng, star of Point Of Entry (an unfortunate case of the son following in the dad’s Channel 5 footsteps). I'm not sure which is worse – a show that people ridicule or a show that people don't even know exists. But how do you be “memorably bad”? It's not as if anyone deliberately sets out to produce a bad show, much less a “memorably bad” one. I think what made VR Man memorable was its ambition and the great distance by which its reach exceeded its grasp. I mean a superhero show on a local TV budget from a production team whose previous experience was Growing Up, a low-key drama set in the low-tech ’60s? Come on! If only they had promoted VR Man as an outright kids' show like Okto's recent Zero Hero (incidentally, an early working title for VR Man was Zero To Hero), then the reception wouldn't have been so merciless. And I wouldn't be writing this column about the iconic badness of VR Man. And Tarn How could still be working at MediaCorp today, perhaps writing The Noose. The greatest irony may be that Channel 5's viewership has dropped so much that VR Man at the time had more viewers than any show on Channel 5 now, including The Noose which had made fun of VR Man. It's so sad that it's funny.